Addressing an increasingly important concern for manufacturers, Emerson is introducing upgrades to Guardian Support so users can monitor the security and health risks associated with control and software systems. These new capabilities – updated dashboards and faster access to education and support – increase an organisation’s ability to make business critical decisions to improve risk, incident, and lifecycle management. Leveraging Emerson’s expertise in process systems health and security, Guardian Support empowers organisations to overcome the increasing complexity of managing multiple automation systems across large enterprises. The updated dashboards are built with Human Centered Design concepts to enable easier identification of actionable system needs, even across systems and locations. “Emerson has always committed to helping customers achieve their bottom line business results by watching over and protecting their process systems investments for truly effective lifecycle management keeping them on the path to Operational Certainty,” says Bob Cruz, Guardian Support programme manager, Emerson Automation Solutions. 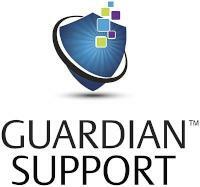 Designed to help users improve their overall control system expertise, the newest version of Guardian Support provides users with faster access to education and support. 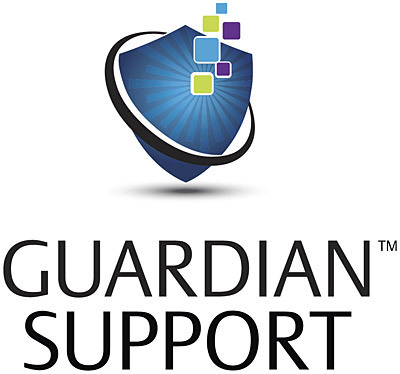 The redesigned Guardian portal provides quick access to educational videos customers can view anytime and anywhere there is an Internet connection. These tools help users update their knowledge of the latest version of the DeltaV™ distributed control system. To speed up service, customers can now easily request service quotes directly through the Guardian Support site. The new request to quote feature provides quick and easy access to services and reports, including back-up and recovery, site evaluation service, cybersecurity assessment reports, loop service express, and renewal of Guardian Support. It also provides specific information to virtualised DeltaV systems and allows customers to easily view the results of their maintenance activities. Offering new users an opportunity to try Emerson’s widely-recognised core lifecycle service, the new Guardian Connect application is a 30-day trial version of Guardian Support. Guardian Connect allows users to monitor changes in system health via a health score ticker and long-term trending data. After the trial, users can still track the Guardian Connect health score across all registered systems. The new System Health Score trending will also be available in the Guardian Mobile application coming out in early 2017.